The TIMES magazine - Look Inside! 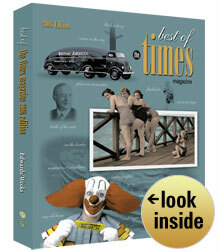 Below you will find sample stories from various chapters in the “Best of the TIMES” book. You must have Adobe Reader® installed on your computer to view PDF files. Download the latest version here if you haven’t already.